This is a nice park but not a resort. It is mostly large pull-thru spaces. Some with concrete patios (for a few $$$ more). No pool, no kids play area, no off leash pet area but it is clean, kept up, mostly open level sites on gravel/grass/packed sand and nicely treed but not dark. Sprint 4G works in the east end of the park (not where I am, though). It is TengoInternet delivered through Bellsouth.net and has been pretty solid most of the time but there is a lot of variability based on time of day a lot more than the number of RVs in the campground. 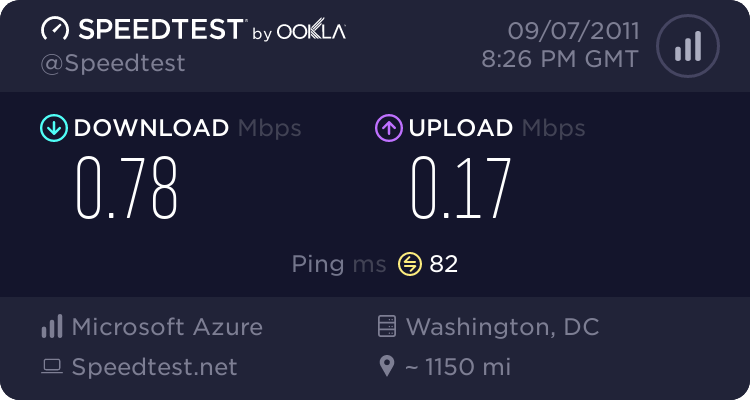 I suspect it is due to the two huge outlet malls a couple of blocks away that soak up bandwidth big time during business hours. The actual local wifi signal strength throughout the park is excellent but with the speed limited delivery, even small included youtube pics on a web page stutter some. Forget about getting any smooth HQ quality delivery any time of the day or night. There is no CableTV but I pick up about 20 Digital channels over the air but few of these have I any interest in watching. If their bandwidth delivery was better, then the lack of cable would not be such a bother. The main roads are paved and the intermediate roads are packed gravel and kept up pretty well. The layout is comfortable and nice for long walks.